We are specialist in manufacture of Bimetal washers in copper + aluminium i.e. one side copper and one side aluminium. The copper and aluminium composition is in the ratio 80:20 (80% aluminium, 20% copper). 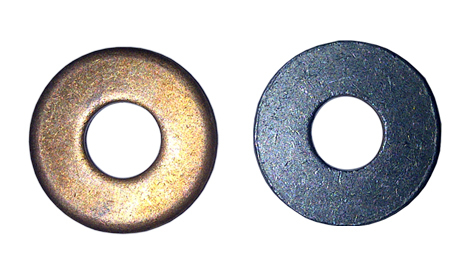 These are plain washers but with two diferent metals on wither side. We can also manufacture the same according to the composition of copper and aluminium that you require.